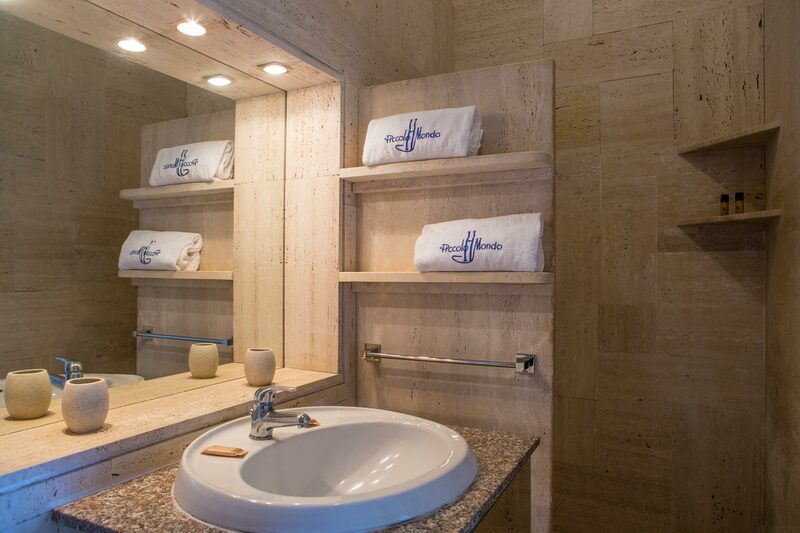 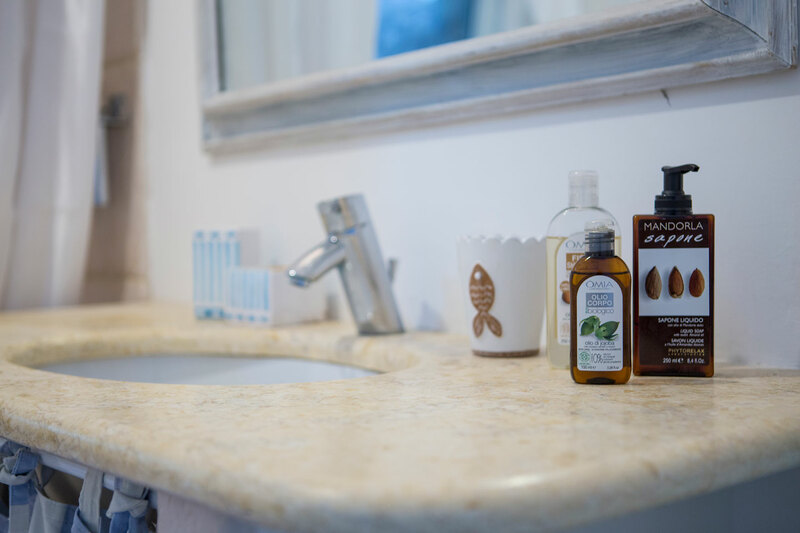 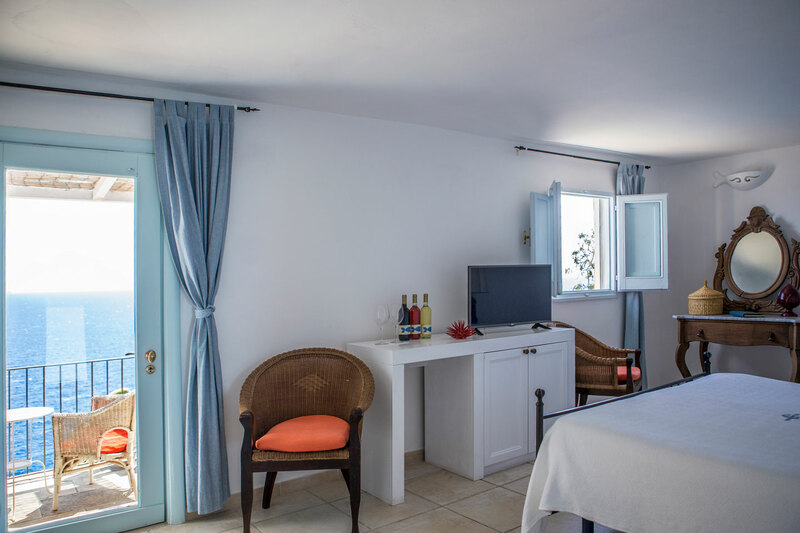 The Double Deluxe Plus room is the most suggestive room of the hotel with an independent entrance, formed by two bedrooms, a bathroom in common, outdoors shower, outdoors living rooms and relaxing areas. 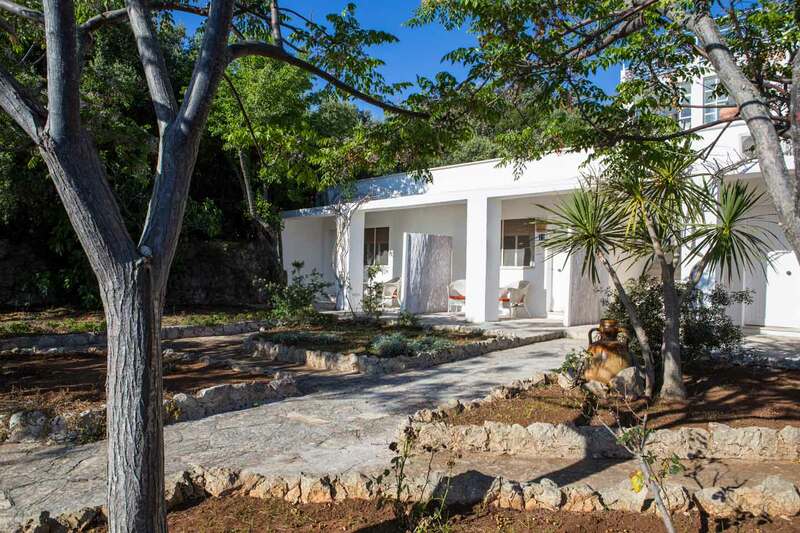 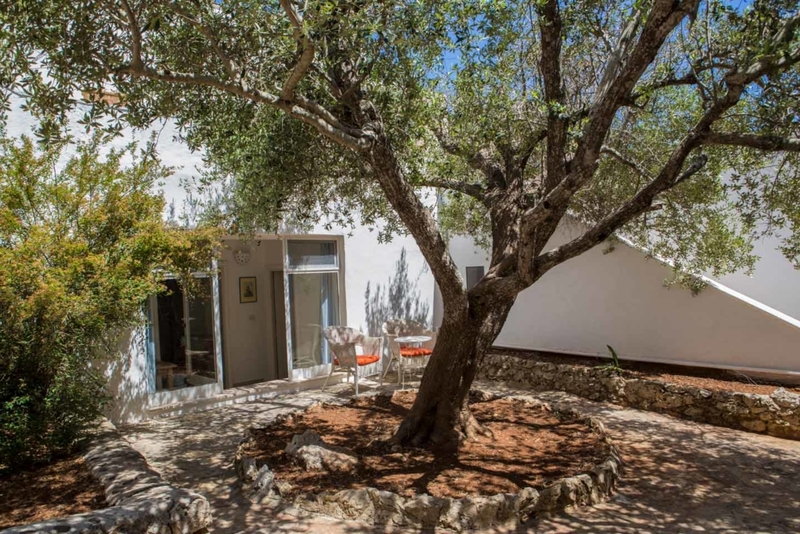 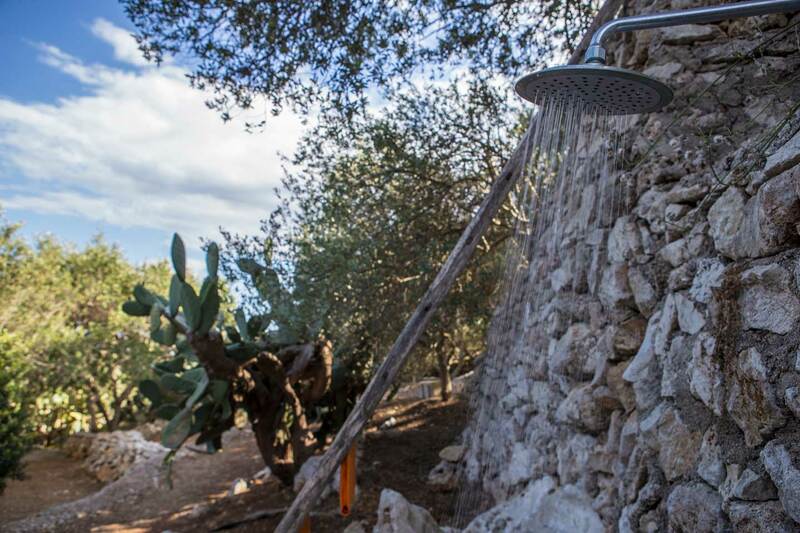 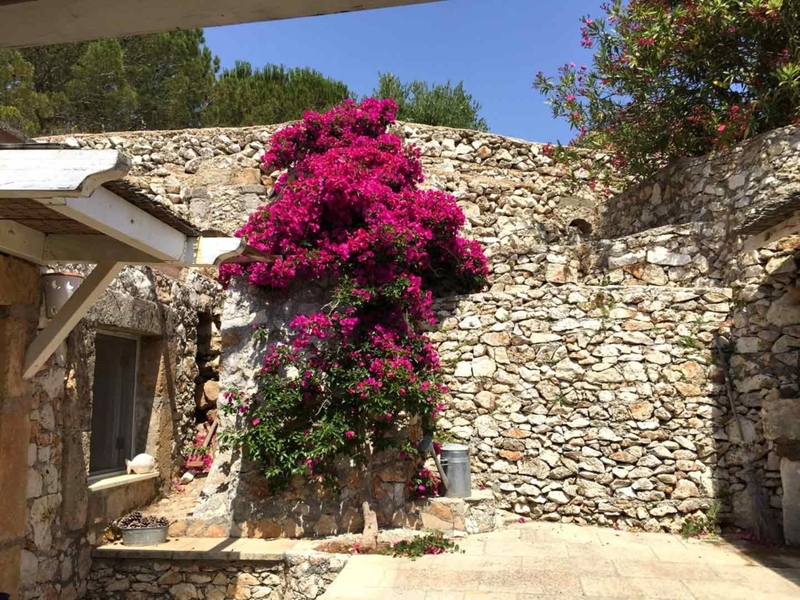 It has a large private garden overlooking the sea. 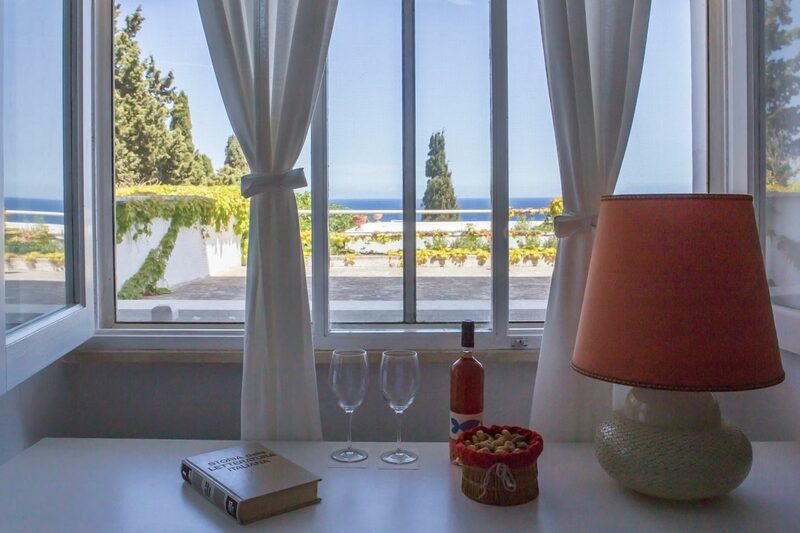 The Double Superior room has a wonderful position on the last terrace of the hotel with a unique sea view even from your bed. 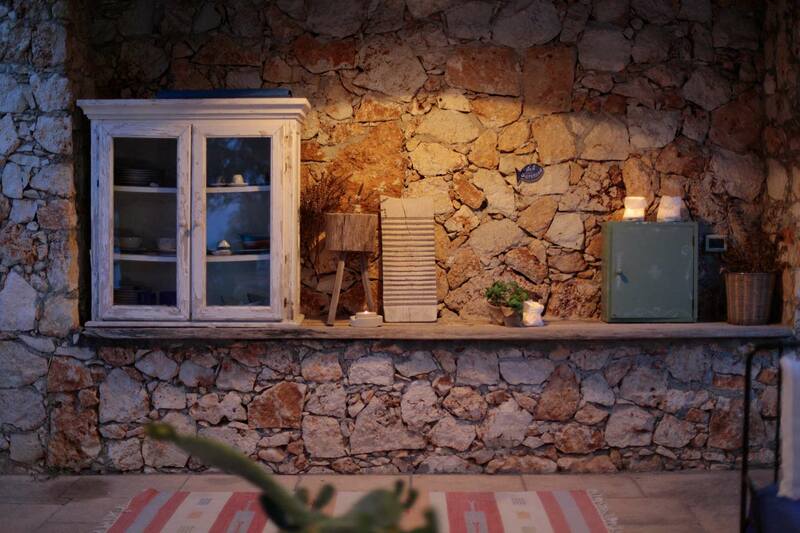 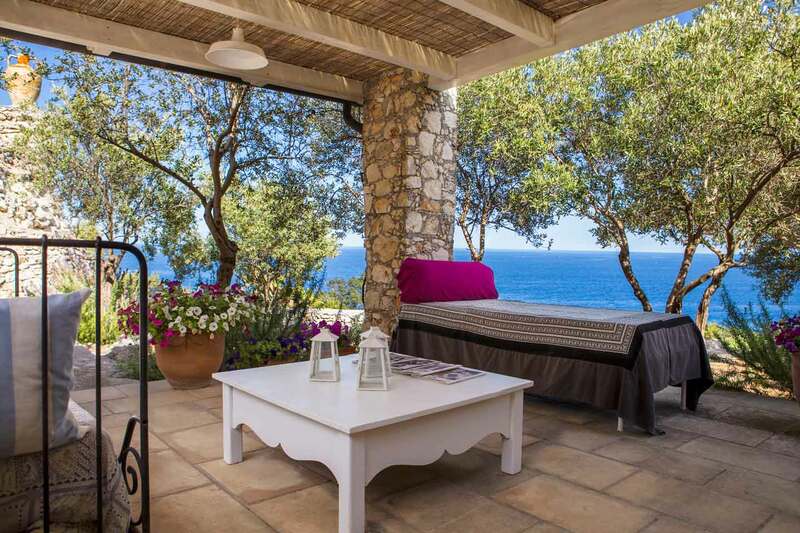 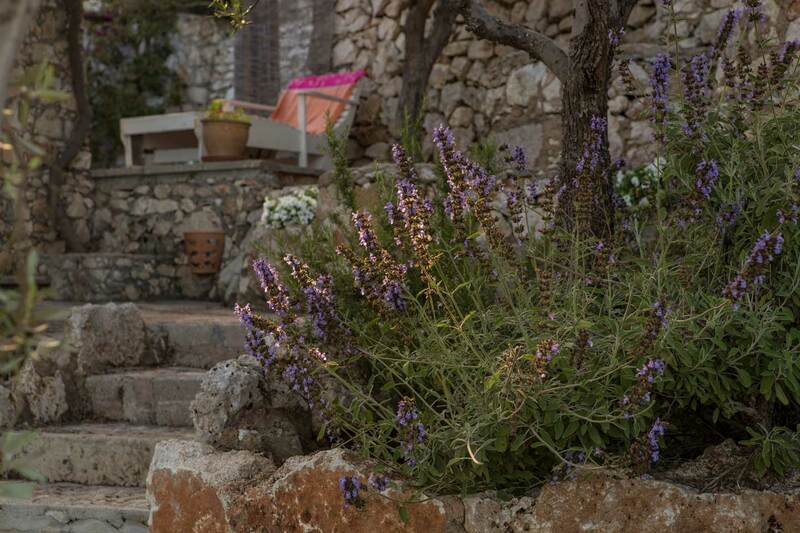 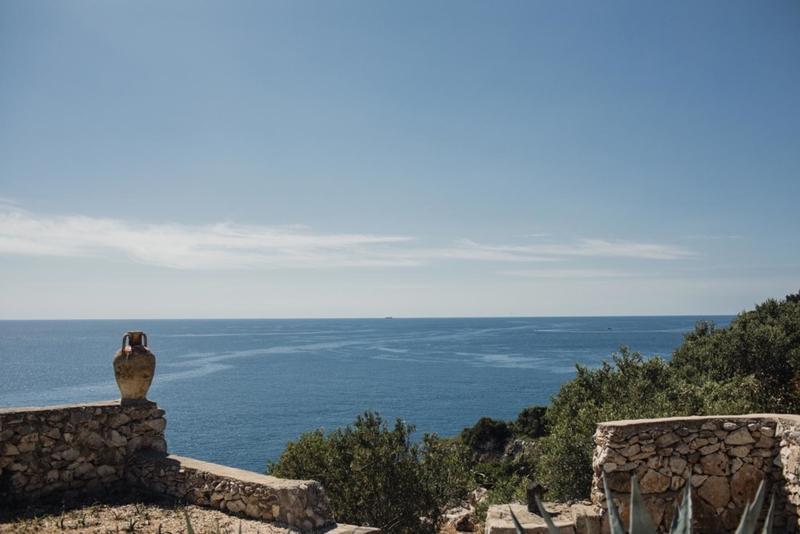 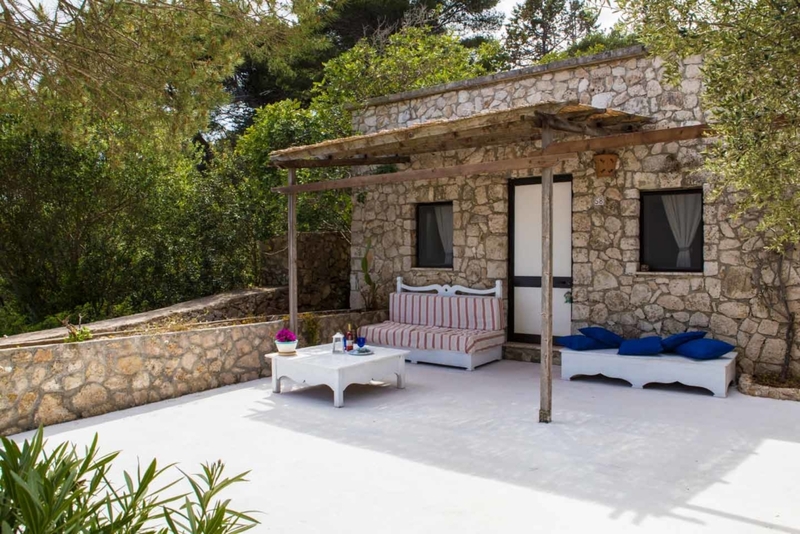 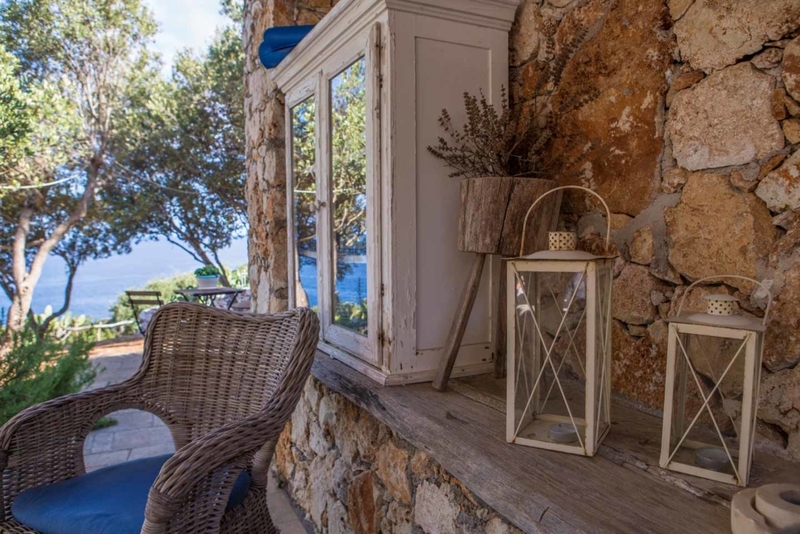 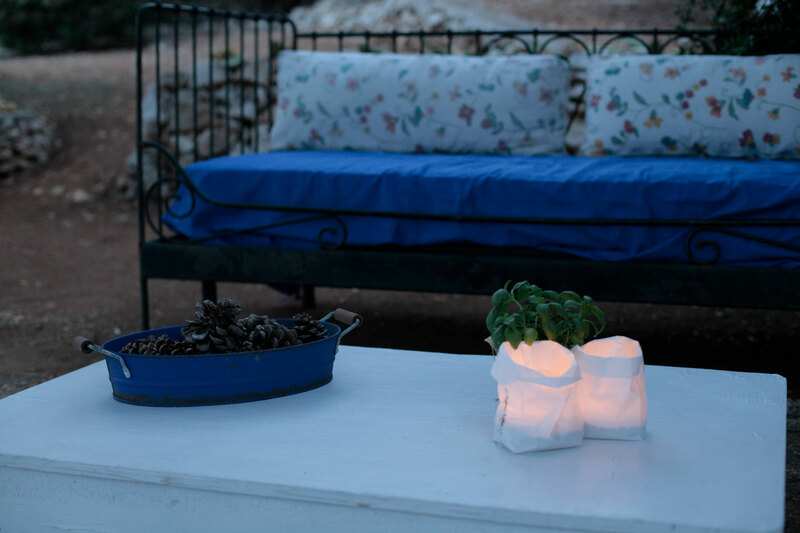 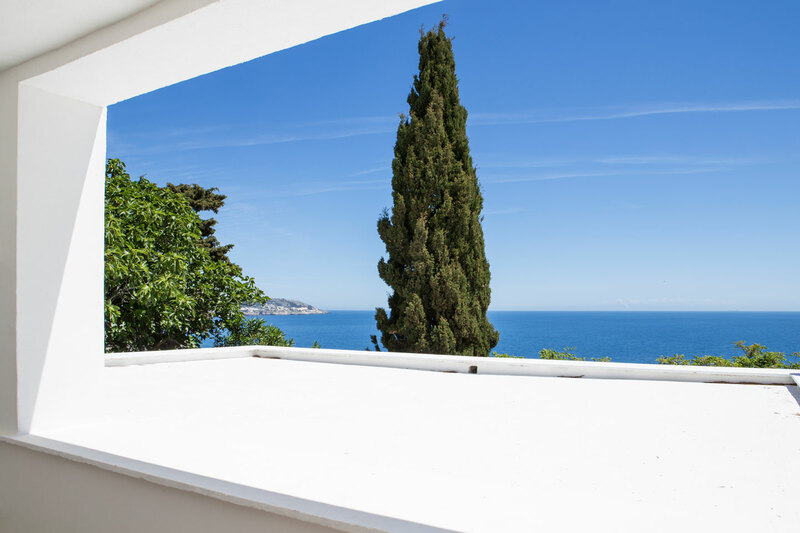 It has a garden or terrace overlooking the sea. 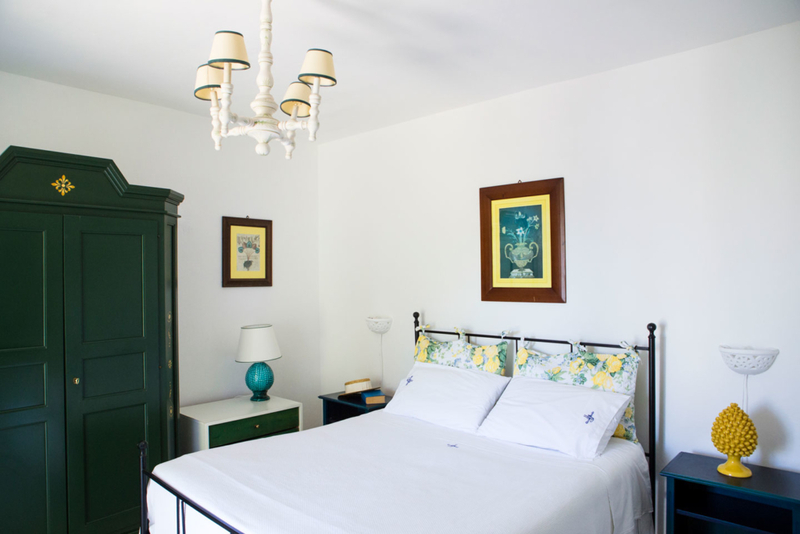 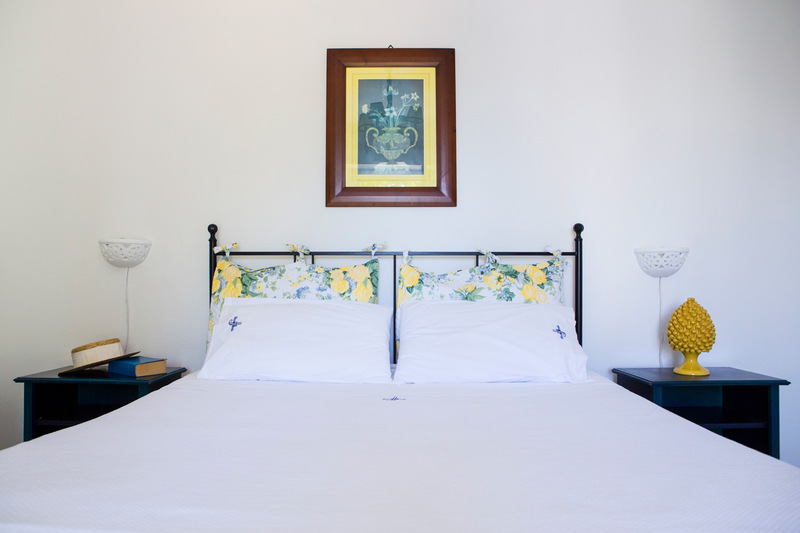 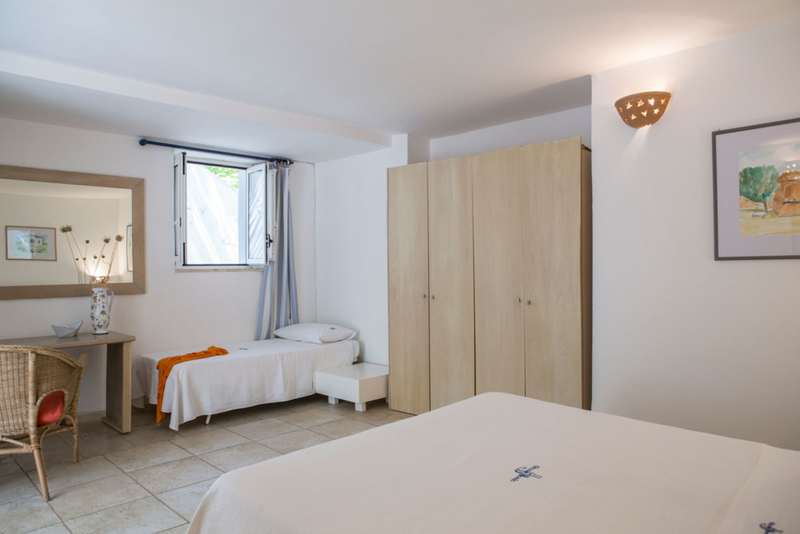 The triple superior room is formed by a waiting room and a bedroom with a double bed and a single bed. 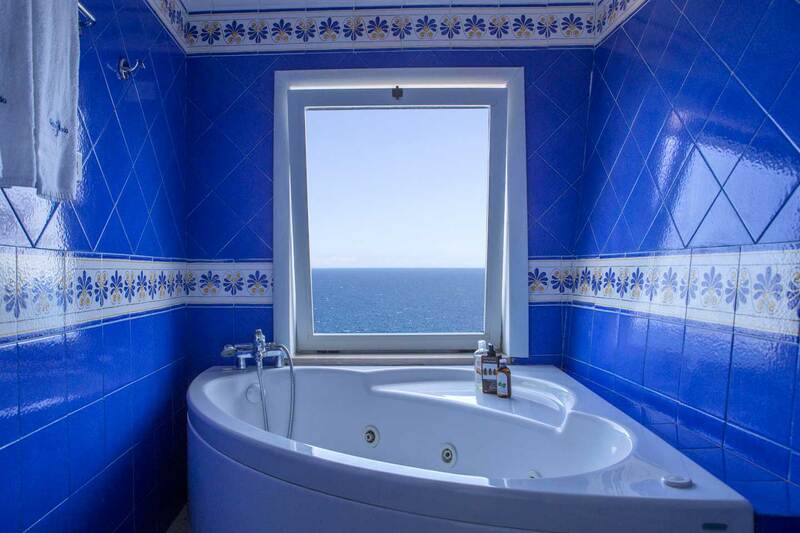 It has a large window facing the sea and a terrace or balcony. The triple superior room is formed by a waiting room and a bedroom with a double bed and a single bed. 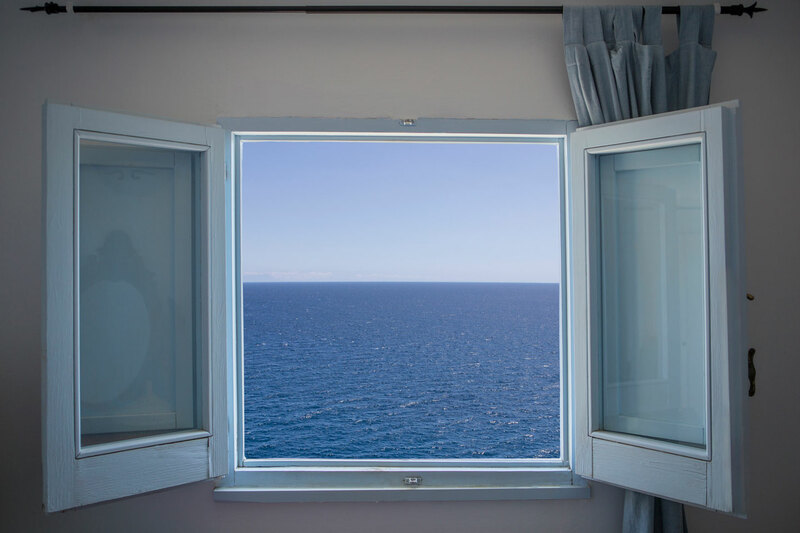 it has no sea view but a private garden. 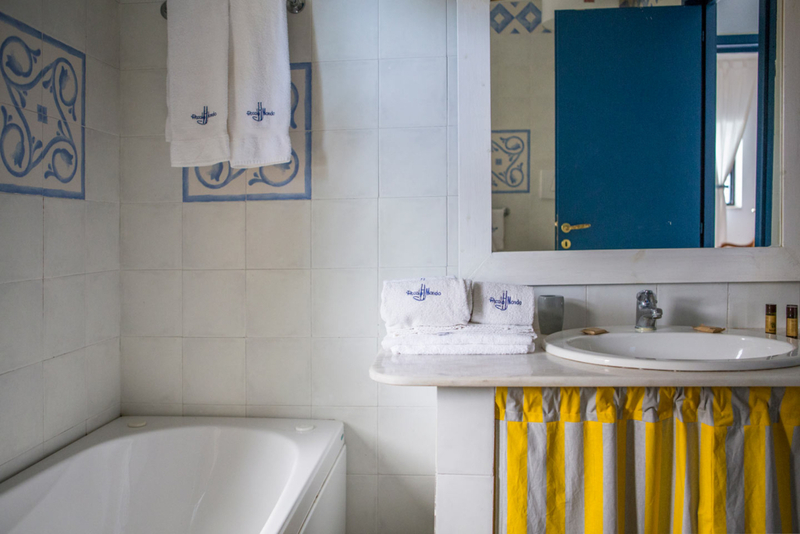 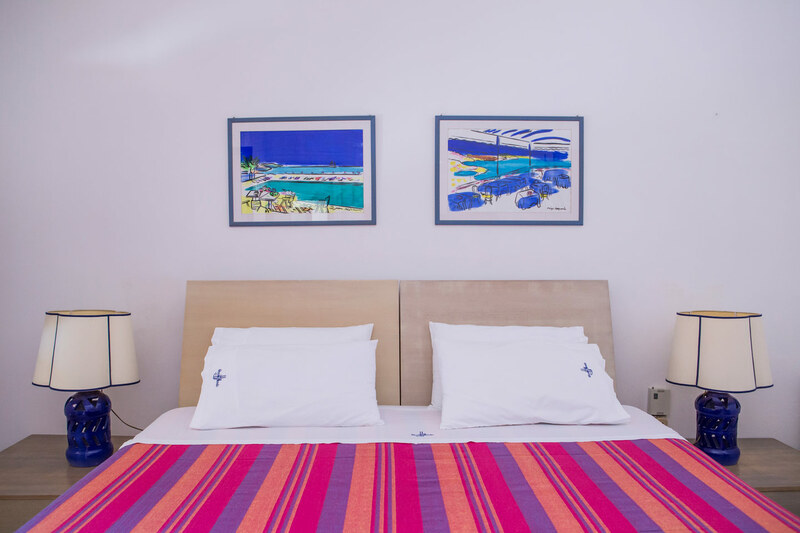 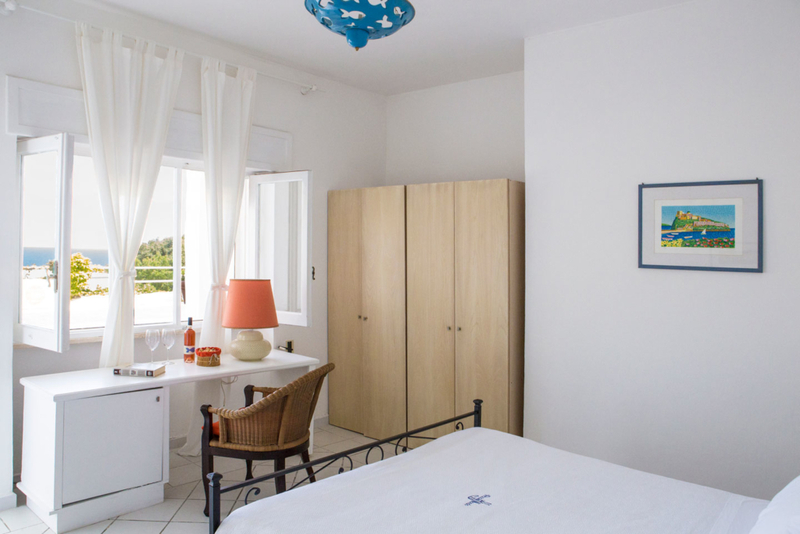 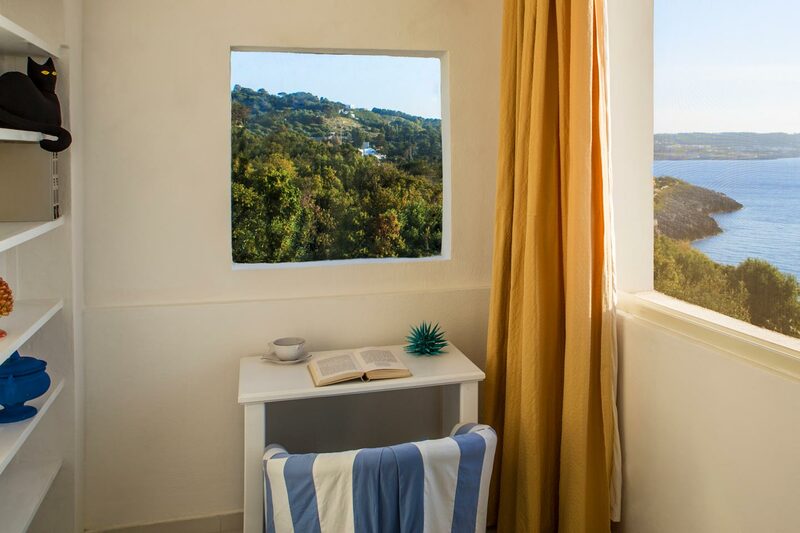 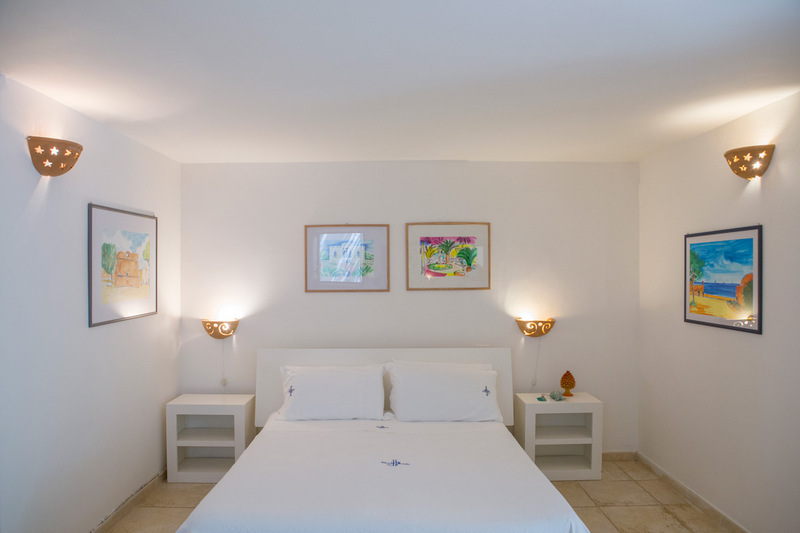 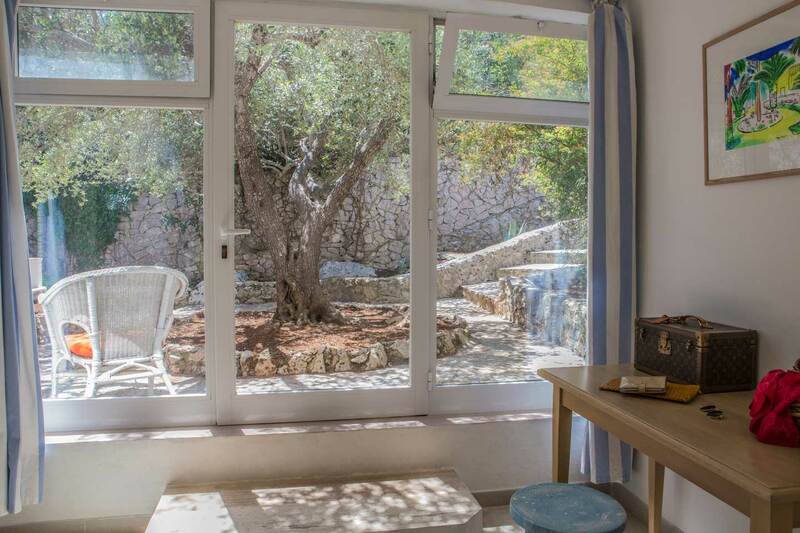 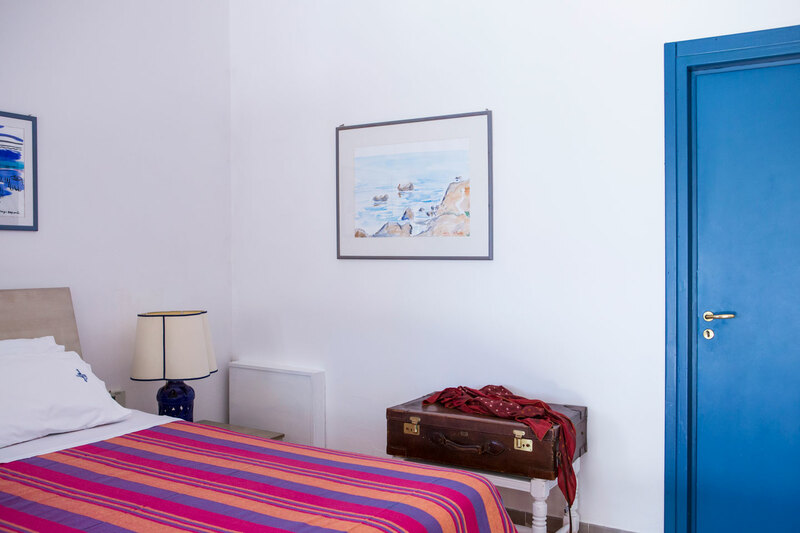 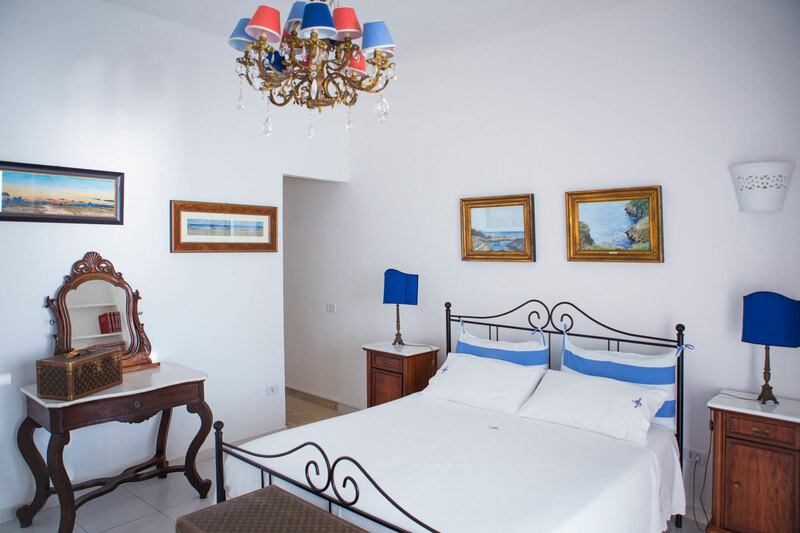 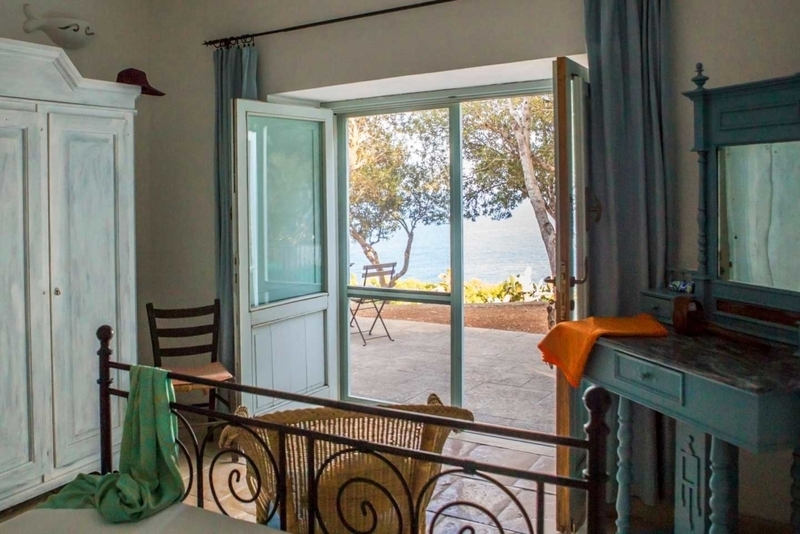 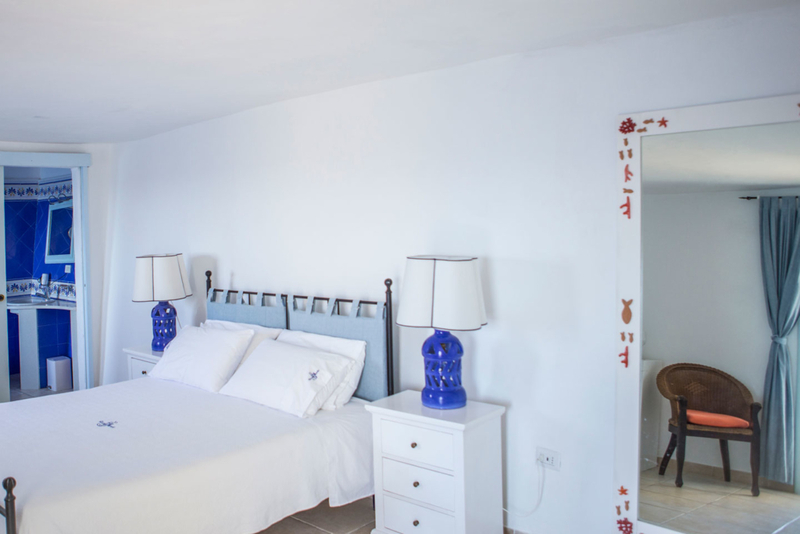 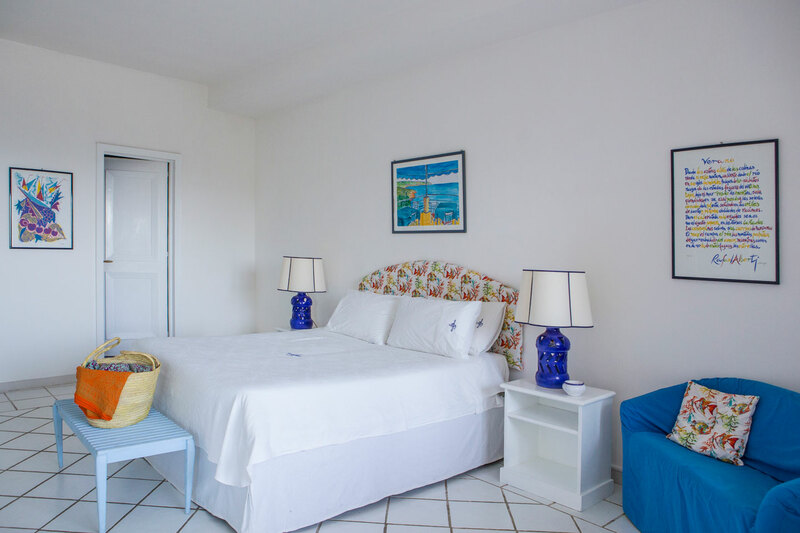 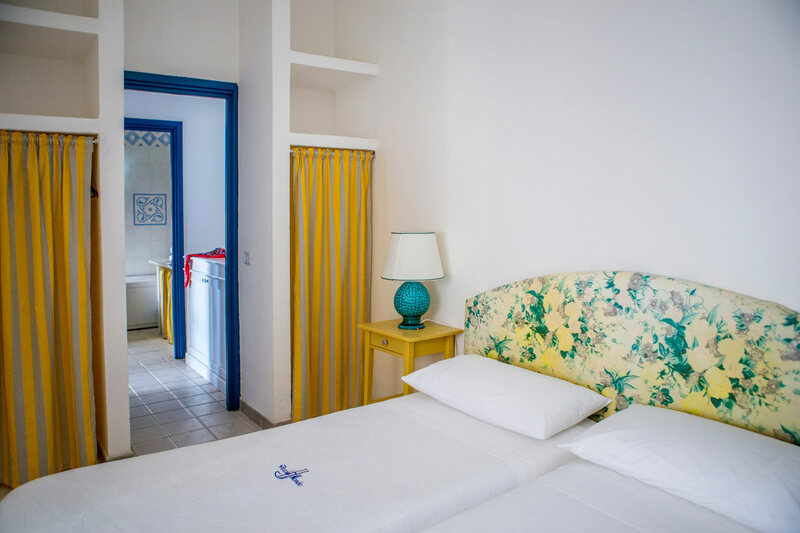 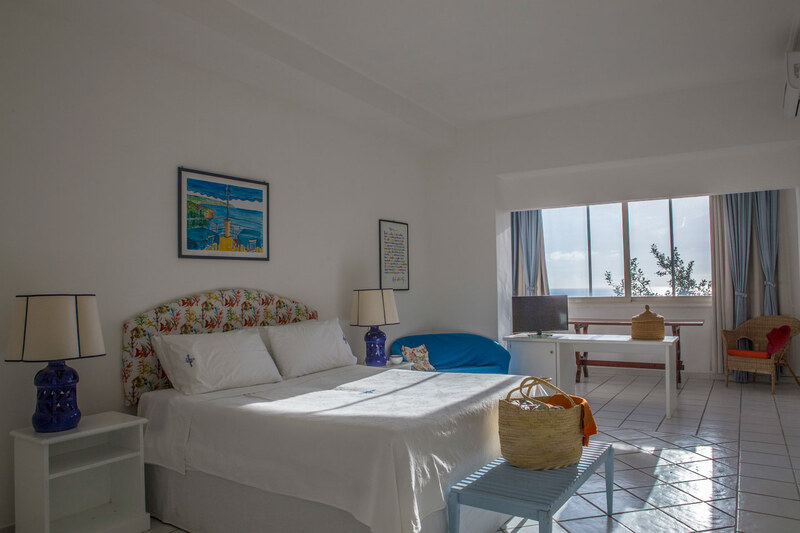 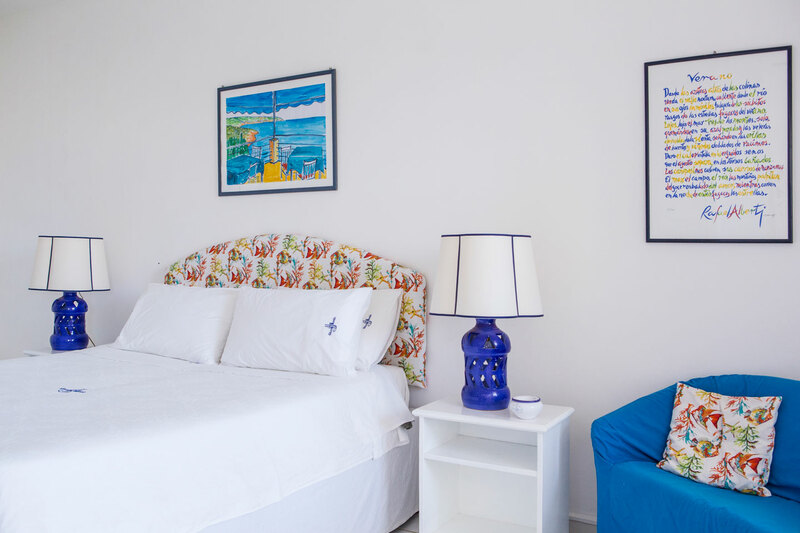 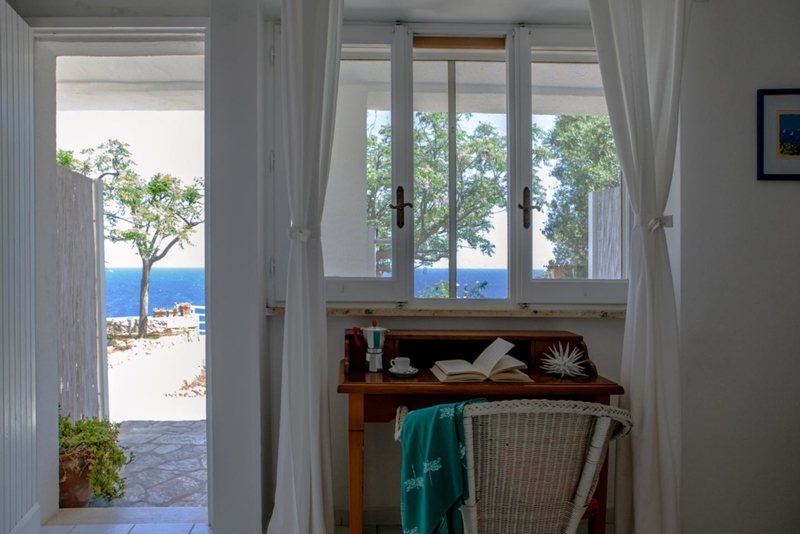 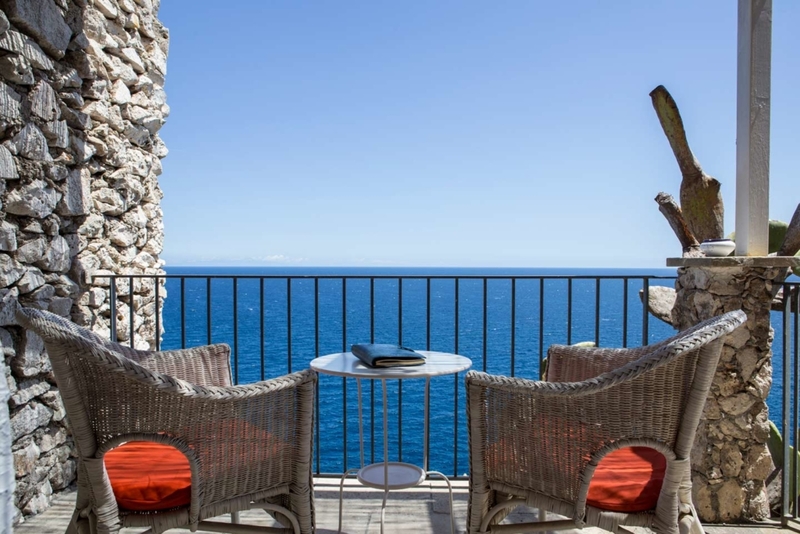 Family sea view room is formed by two bedrooms with two independent entrances and a bathroom in common with a big private terrace overlooking the sea.